In the modern world, nation-states, empires, and civilizations are often compared to and judged by the perceived success of Roman culture. There is no doubt that Roman culture was successful and enduring, which has contributed to make Rome the “gold standard” by which most other societies are judged. In terms of longevity, few societies can beat Rome as the Roman Republic began in 509 BC and continued for nearly 500 years before transitioning into the Roman Empire, which saw its last western emperor abdicate his throne in AD 479. Rome is also admired today for its apparent modernity in the ancient world: the Romans brought to the world running water, concrete and a complex system of roads, republican government, and organized sports. Truly, among all the ancient peoples there is no doubt the Romans were the most “modern.” But perhaps just as intriguing as Rome’s longevity and modernity was its collapse. The collapse of the Roman Empire has been the subject of immense interest among both professional scholars and lay people alike since Edward Gibbon’s multi-volume work The History of the Decline and Fall of the Roman Empire was published in 1789. In that monumental tome, Gibbon primarily attributed Rome’s decline to internal weakness and its citizens’ conversion from their native Indo-European religion to Christianity. Since Gibbon, countless books and academic articles have been written about the decline of Rome with several theories being advanced including: excessive immigration, slavery, the decline of the Roman family, and the use of lead pipes in aqueducts. 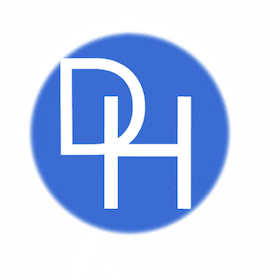 Today, most experts of Hellenic Civilization, which includes Rome, contend that Rome’s collapse was the result of several factors that combined to create a “perfect storm” of civilizational destruction. Some past scholars of “big history,” such as Oswald Spengler and to a lesser extent, Arnold Toynbee, have even argued that Rome’s downfall was unavoidable. But among all the factors that contributed to Rome’s ultimate demise, the economic factors are often overlooked. In particular, the role of inflation, which many believe to be endemic only in modern economies, played a fairly significant role that ultimately contributed to internal problems within Rome. Once the Roman economy was hopelessly ravaged by inflation, the borders of the empire were open for the Huns, Goths, and Vandals to take what they wanted. 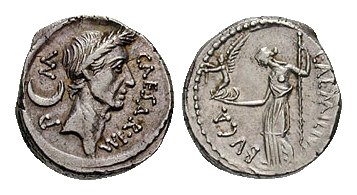 The primary difference between Roman currency and that of today, is that Roman coins were literally worth their weight in silver, bronze, or copper. The coins were not “backed” by gold reserves as has been the case in modern systems, nor did consumer confidence decide their value as it is today. In a fiscally responsible government, as was the case throughout most of Roman history, the system worked well, but once corruption set in, the system was easy to exploit. The basic concept of inflation was essentially the same in the ancient world as it is today. In the simplest terms, it refers to the rising costs of commodities and the reduced value of the currency. There are many causes of inflation, but the presence of excessive amounts of currency in circulation tends to be the most common catalyst for an inflationary cycle. In modern economies, inflationary cycles often happen when a central bank prints too much money, thereby lowering the value of the currency and raising the prices on commodities. The situation was quite similar in the ancient world, but instead of printing money, kings and other leaders would add impurities to their minted coins. The result was often that not only were there too many coins in circulation, but the ones that were being used were of little value due to their impurities. A situation like this took place in Egypt hundreds of years before the damaging inflationary cycle hit Rome. 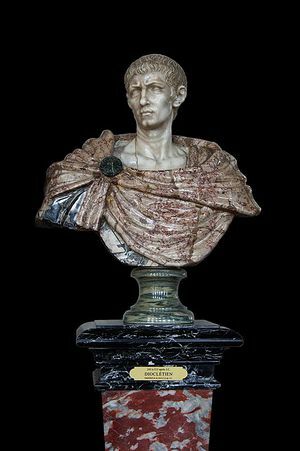 As the economy of the early Roman Empire grew, sound fiscal policies under Tiberius (reigned AD 14-37) and other early emperors helped keep inflation in check. The money supply increased proportionately with the increase in trade. Taxes were also kept low: each province only paid a one percent wealth tax and a flat tax on all adults. All of this helped keep prices low and the wheels of government moving effectively, but by the end of the second century AD things began to change. Around AD 200, the Roman economy took a drastic turn from which it was never able to recover. Around that time, there was a recession that ravaged much of the Roman Empire in a way that modern scholars are just now beginning to understand. The recession was compounded by the so-called “Antonine plague,” which was brought back from the eastern provinces by Roman soldiers. Since the plague led to the widespread decimation of the Roman population, wages increased rapidly – much too rapidly. The result was a drastic increase on the prices of goods that had never before been witnessed in Rome: inflation was only one percent in the first two centuries AD, but prices doubled after the plague. The immediate after effects of the plague should have been a wakeup call to Roman leaders, but instead the problems continued to increase. Another factor that contributed to inflation in the Roman Empire was the transition to a more cash based economy. Before AD 200, real-estate was actually a more popular form of currency among wealthy Romans than coins were, but after the plague, Rome quickly transitioned into a more cash based economy due to the growing expenses of government. The growth of territory meant more people were added to the empire and projects such as bridges and acqueduct were needed to sustain the growing population, so more cash was needed. The Roman military industrial complex also grew exponentially, which meant that more coins were needed to pay the soldiers. Finally, there was an increased use in cash for anything from large business deals by the elites to day to day transactions by ordinary people. Roman leaders quickly learned that with so many coins already in circulation, they were having a difficult time paying for their public works projects, not to mention their soldiers. They attempted to rectify the situation by devaluing their currency. Although the Romans kept few records that were directly related to their devaluing of the denarius, the records they did keep, combined with examinations of coins from the period tell the story of a deliberate attempt to stretch the silver they had as far as they could. 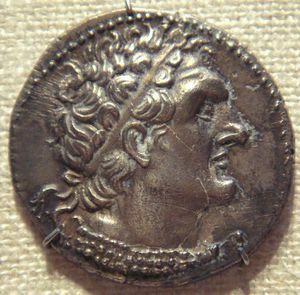 Similar to the situation in Ptolemaic Egypt, the Romans began adding impurities to their silver coins so that more could be added to circulation. The process had two results: there were too many coins in circulation and the new coins that were being added were comprised more of other metals than silver. It is estimated that the inflation rate reached an astronomical rate of 15,000% between AD 200 and 300! In terms of a tangible example, one Roman pound of gold was valued at 72,000 denarii in AD 301, which would be nearly impossible for any Roman to have that many coins on his or her person. Finally, the Emperor Diocletian (ruled AD 284-306) realized that drastic measures had to be taken if he were to save the Roman economy and quite possibly Rome itself. By AD 250, the inflationary cycle had crippled the Roman economy and threatened to bring the entire empire down. Instead of attacking the problem at the source by addressing the currency problem, Diocletian instead decided to enact price controls in 301. The edict only made things worse as it drove consumers to the black market, but the prices continued to soar. Suffering from myopia and a lack of understanding of economics, Diocletian’s successors for the most part were also unable to stem the tide of inflation and in fact kept many of his polices, including price controls. Although the Emperor Constantine (reigned AD 306-337) is considered by many to be among the greatest of the later Roman emperors, he was unable to fix the failing Roman economy. The inflation persisted for nearly two hundred more years, during which time taxes were massively increased. Internal problems were further compounded by the economic situation, such as the concentration of wealth in fewer and fewer hands, which often led to mob riots. Eventually, the Roman government was unable to pay its armies, which then often turned their swords on Rome itself. In the end, it was primarily Germanic tribes, such as the Goths and Vandals, who dealt the final death blows to Rome, but that would not have been possible if Rome’s economy were not weakened by a particularly excessive and long lasting inflationary cycle.